Emperor penguin found in NZ Jump to media player A young emperor penguin has arrived on a beach on the north-western coast of New Zealand. 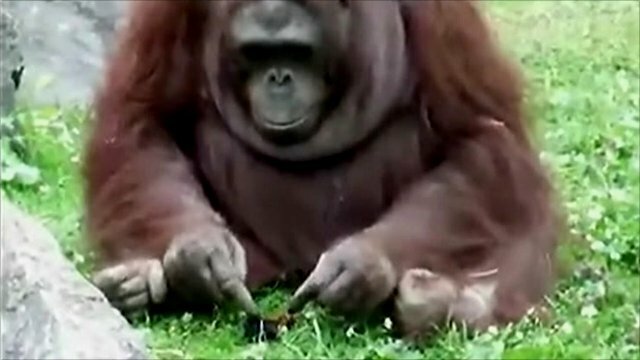 Gentle zoo giant rescues baby bird Jump to media player Video footage of an orangutan apparently trying to revive a poorly coot chick has come to light. A young emperor penguin, normally found in the Antarctic, has arrived on a beach on the north-western coast of New Zealand. Colin Miskelly, from the Museum of New Zealand, said it was exceptional to find the bird so far away from its usual habitat. 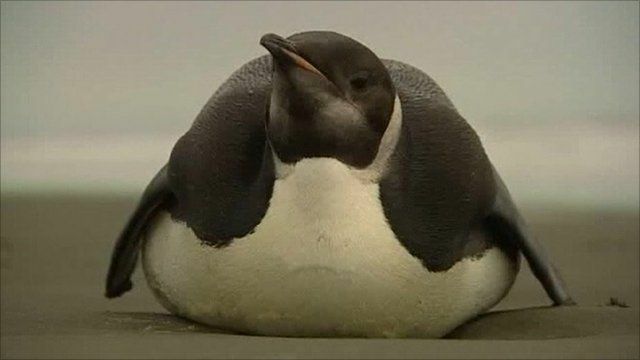 It has been more than 40 years since this type of penguin has been spotted on the island.